The major four first aid providers also offer CPR certification. They all offer the same stand-alone CPR classes. These classes offer no certification in first aid and only offer certificates that include CPR and automated external defibrillator (AED). These courses are shorter and cheaper than combined first aid and CPR classes. 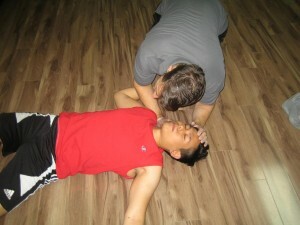 CPR level “A” – This CPR course is the most basic level of CPR. It includes training and certification in the use of AED’s. Candidates enrolled in this course will learn about using CPR on adult and child victim’s. This is a 3 to 4 hour course that costs anywhere from 45 to 90 dollars. No re-certification courses are available for this course. Certificate upon completion is valid for 3 years. CPR level “B” – This CPR level is being taken out of the program as its material is already covered in CPR level “A”. Get your CPR and AED certificate that meets ILCOR standards by enrolling with one of our popular providers. CPR level “C” – This CPR level is one of the most popular courses offered through the 4 major providers. It is a 5 hour course that includes CPR rescues for adult, child and infant victims. AED certification and training is included in this course. Course cost varies from 55 to 100 dollars depending on provider and location. All material covered in CPR “A” and “B” is included in the content. Health care provider CPR – CPR “HCP” – This CPR level is the most comprehensive stand-alone CPR course available through the major providers. It is a course designed for candidates working in or planning on in working in the health care industry. Candidates will learn all of the material covered in CPR “A”, “B” and “C” and learn additional skills such as working with a bag-valve mask and with other trained rescuers. Course includes certification and training in the use of AED’s. Upon completion of the course candidates will receive a CPR “HCP” and AED certificate that is valid for 3 years. Regardless of what course you choose we recommend that you take any CPR course so that you are confident and able to rescue the life of a loved one, stranger, friend or co-worker. Register today and give your resume a boost with a CPR certificate.